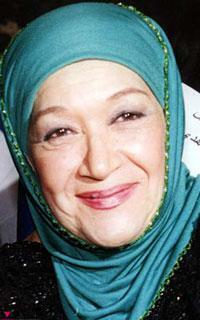 Khsara :( ama el 3ibra bil moucherka ! Yesterday, while doing some shopping at a food store, I bumped into one of my former american professors who taught me linguistics in Tunisia. The last time I have seen him was in 1996, the year of my graduation.Since then we lost contcat but I have never thought we will meet again especially in a huge country like the US! Indeed the world is so small! عن كلِّ ركنٍ دافئٍ.. وكلِّ مزهريّه..
Once again Magharebia tackles the subject of World Soccer Cup and how the Tunisian bloggers put positive spin on the performance of the Tunisian team. This is the title of the new report by the Pew Global Attitudes Project. I have not read the report but according to Daniel Pipes,director of the Middle East Forum in Philadelphia,this global survey reveals that many Muslims are at war with reality and bound by extremist theories. PS: I do not agree with Pipes' views especially when it comes to the Middle East and Islam but his article via The Australian, is to show how the mind of an extremist is reacting to such issues, thus not helping in finding the real problem but, unfortunately, further complicating it. Here are 10 alleged alien encounters that have been definitively debunked over the years. 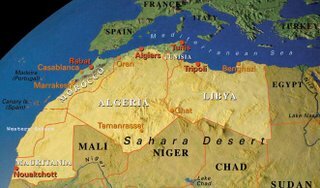 In this blog review Magharebia brings up the issue of the use of dialects in the Maghreb and how North African bloggers (mainly algerian and Moroccan) support a wider usage of their vernacular languages. According to The St. Petersburg Times, at the Coast to Coast Family Convenience store in Tampa,FL., customers can pay with cash, a credit card, or their index finger, thanks to what the business says is the State's first biometric payment system. Customers give the store a fingerprint and their bank account information; when they purchase something, they stick their finger in the scanner and the amount is automatically debited from their account. " People either love it or think it's a sign of the coming apocalypse," said owner Amer Hawatmeh. " But to me, it's the wave of the future." It seems that a new friendship association is taking shape between Jews and Amazighs in Morocco. The initiators, Moroccan and Israeli civil society activists, hope that this assocaition will help foster relations between Moroccan berbers and Jewish Amazighs living in Israel as well as fight against antisemitism and promote Amazigh culture in Israel. The Maghreb Center is a newly created non-profit organisation in Washington DC. Its founder and President is a Tunisian World Bank consultant on International Development. 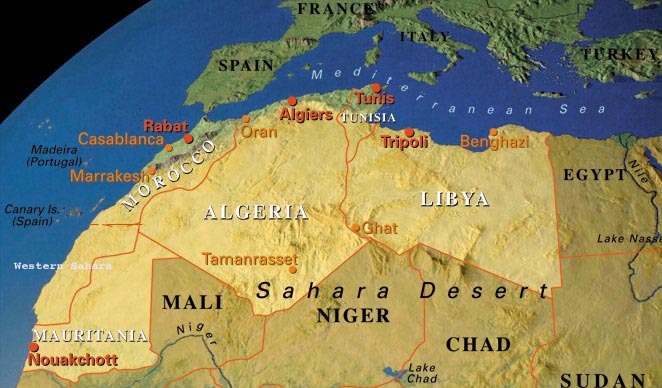 [The Maghreb Center] is dedicated to understanding and analyzing the political, economic, and social climate in the five countries of North Africa that are also known as the Maghreb: Mauritania, Morocco, Algeria, Tunisia, and Libya. The center disseminates this information amongst policy-makers, academics, the media, and the American public at large. Beyond promoting a greater appreciation of the Maghreb in terms of history, culture, accomplishments, and challenges, the center also aims to contribute to development in the region. Abertay University in Dundee, England, is offering the country's first degree in computer hacking, the Daily Record reported. Classes in the major will teach students how to find out passwords and log-in information, and how to shut down computer systems; the aim is to produce hackers that could work for the government against computer criminals. However, even teachers in the discipline say teaching criminal activities could produce more criminals. JEDDAH, SAUDI ARABIA - In this country where women are forced to completely cover themselves in public, are barred from driving, and need permission to travel abroad, it's small wonder many are embracing the freedom of anonymity on the Internet. Sunscreens generally do a good job filtering out the ultraviolet rays that cause sunburn — UVB rays. But with sunburn protection, many people get a false sense of security that keeps them under the harsh sun much longer. That adds to the risk of eventual skin cancer — both deadly melanoma and the more common and less-threatening basal and squamous cell cancers. المهم دعنا نقول إن عدد العرب 200 مليون نسمة، وإن كلية الألسن والبلاغة في الجامعة العربية قررت تحريك مئة مليون منهم إلى الحدود مع إسرائيل (طبعا بعد مفاوضات تستغرق خمس سنوات مع الدول المحيطة بإسرائيل لمنحهم تأشيرات زيارة بدون كفلاء)، وأن هؤلاء المئة مليون نسمة وقفوا على امتداد الحدود مع الشقيقة إسرائيل في الثانية صباحا ولأربع ساعات متتالية وهتفوا بصوت واحد: بالروح والدم نفديك يا فلسطين..طبعا لن يكون أي واحد من تلك الملايين مطالبا فعلا بأن يفدي فلسطين حتى بالدموع (دعك من الروح والدم) فالغرض هو حرمان الإسرائيليين من النوم، وليس هناك في القانون الدولي ما يحرم حرمان دولة مجاورة من النوم، وبالتالي فإن ما ستقوم به تلك الملايين لا يعتبر معاداة للسامية..وتذهب ملايين وتأتي أخرى لتحل محلها حتى يرهق الأرق الإسرائيليين، ويقرروا الرحيل، أما إذا صار دمهم "تقيل" ولم يجد معهم الصياح المسبب للأرق، فما من سبيل سوى حقن ملايين العرب بفيروس الأنفلونزا ووضع المتأنفولزين على الحدود ليعطس كل واحد منهم في اتجاه إسرائيل ليوم كامل، وبعد يومين، أي بعد أن يتمكن الوباء من الصهاينة تتحرك قيادة عربية موحدة صوب الضفة الغربية للدخول في مفاوضات تحت شعار "مصل الأنفلونزا مقابل الأرض". Update: The Philly "English Only" Eatery is facing probe: The city's Commission on Human Relations yesterday filed a discrimination complaint against Geno's Steaks over signs that read: "This is AMERICA ... WHEN ORDERING SPEAK ENGLISH." According to a new study a main ingredient in beer may help prevent prostate cancer and enlargement.But researchers say don't rush out to stock the refrigerator because the ingredient is present in such small amounts that a person would have to drink more than 17 beers to benefit. 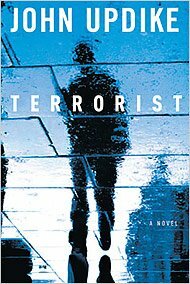 Unfortunately, the would-be terrorist in this novel turns out to be a completely unbelievable individual: more robot than human being and such a cliché that the reader cannot help suspecting that Mr. Updike found the idea of such a person so incomprehensible that he at some point abandoned any earnest attempt to depict his inner life and settled instead for giving us a static, one-dimensional stereotype. 24 percent of Americans between 18 and 50 are tattooed; that's almost one in four. Two surveys from 2003 suggested just 15 percent to 16 percent of U.S. adults had a tattoo. This Is Tunisia : When Ordering Speak Arabic! No worries this is not a new ad in Tunisia and I don't think it will work either, but in a Philly Cheesesteak joint,(Geno's), the owner has posted small signs telling customers, "This Is AMERICA: WHEN ORDERING SPEAK ENGLISH.". Joseph Vento (Geno's owner) whose grandparents struggled to learn English after immigrating from Sicily in the 1920s, said he posted the sign about six months ago amid concerns over immigration reform and the increasing number of customers who could not order in English when they wanted Philly's gooey, greasy specialty — fried steak, sliced or chopped, in a long roll, with cheese and fried onions. Magharebia sums up discussions by Algerian and Tunisian bloggers over football. Algerians bloggers complained about the exorbitant fees broadcasters are charging for World Cup coverage, while Tunisian bloggers mourned the death of a football fan. Magharebia mentions our friend The Moor Next Door and our fellow Tunisian blogger Infinity. named her baby Damien after the devil child in the The Omen, who was also born on June 6. Suzanne went one better than the movie by hitting the full Number of the Beast with the date - 6/6/06. Special needs teacher Suzanne, 36, was also induced for six days before Damien arrived at 6.59am, tipping the scales at a spine-chilling 6lb 6oz. Egypt, Lebanon and Pakistan banned the controversial "Da Vinci Code" for religious reasons. I wonder what's the case in Tunisia? 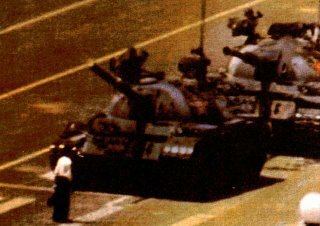 Pékin était calme dimanche matin pour le 17e anniversaire de la violente répression, place Tiananmen, du mouvement démocratique de 1989, passé sous silence comme chaque année par les médias, et que quelques dissidents, comme d'habitude sous étroite surveillance, entendaient commémorer discrètement. TOKYO - The Mona Lisa may hide many secrets behind her enigmatic smile, but the sound of her voice may no longer be one of them, thanks to the work of a Japanese forensics expert. "Tunisie, Hisroire de Femmes" est le titre d'un film documentaire de l’historienne et réalisatrice tunisienne Fériel Ben Mahmoud. 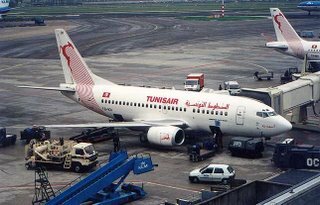 Tout en se basant sur le film en question, l'article suivant que nous propose la journaliste franco tunisienne, Feriel Berraies Guigny, jette un regard assez critique de la condition féminine en Tunisie. Pour Mme Guigny, la femme tunisienne est libre et émancipée certes dans les textes et dans son attitude, mais jouit-elle vraiment de toutes ses opportunités ? Archaeologists are trying to uncover the text of what seems to be the oldest surviving book in Europe and which may hold a key to understanding early monotheistic beliefs.